In the decade following the success of his design for the H tel Tassel in Brussels in 1893, Victor Horta, the creator of Art Nouveau architecture, produced more than forty buildings--and a movement. 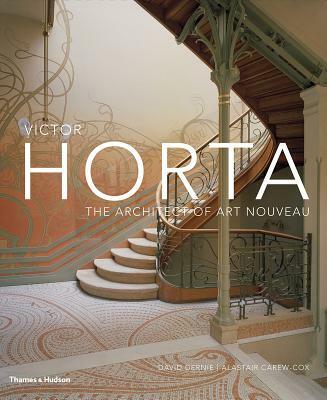 Prepared in close collaboration with the Horta Museum, Brussels, Victor Horta: The Architect of Art Nouveau discusses the many influences on Horta's designs and his legacy. The richly ornamental style of Art Nouveau, characterized by fluid lines based on natural forms, expressed a desire to abandon the historical styles of the nineteenth century and to develop a language that was beautifully crafted and thoroughly contemporary, laying the foundations for the development of modernism in architecture and interior design. Detailed descriptions of nineteen projects representing the full range of Horta's work--including Edicule Lambeaux, H tel Autrique, H tel Max Hallet, and the Brugmann Hospital, are illustrated with Horta's original drawings and specially commissioned photographs by award- winning photographer Alastair Carew-Cox. Extensive photographs of H tel Solvay--to which access had been denied for twenty years before Carew-Cox was granted special access, in recognition of his and David Dernie's significant contribution to the study of Horta--are also included.